Who can say how much value celebrity provenance adds to a listing? 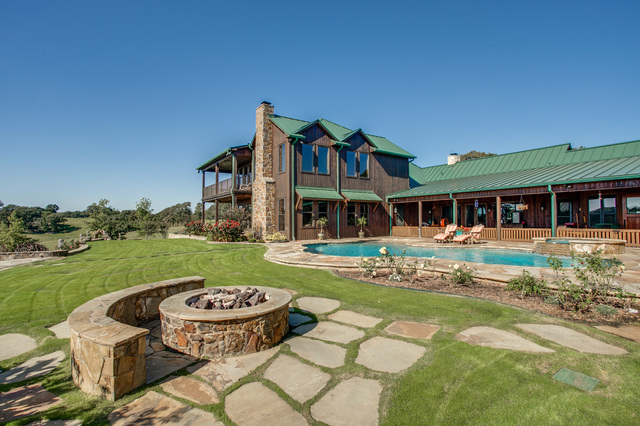 To sports fans, the Circle 12 Ranch, just north of the Texas border in Oklahoma, might just be priceless! Circle 12’s owner is Hall of Fame quarterback and broadcast analyst Terry Bradshaw, one of pro sports’ most recognizable figures. Bradshaw led the Pittsburgh Steelers to four Super Bowl Wins in the 1970s. Since 1994, he has been co-host of NFL Sunday. He’s also an actor, playing cameo and comedic roles on television and movies, including Warner Brothers’ new film, Father Figures, with Ben Helms and Owen Wilson, to be released December 22.